We worked with Schell Design Group out of Mt. 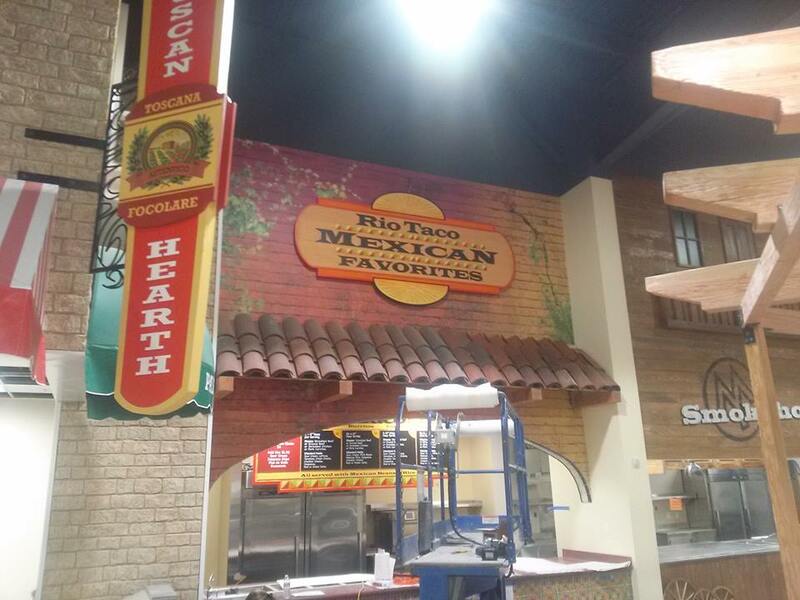 Vernon, WA to create an authentic look and feel to Wind River Casino’s new food court. The Buffalo Restaurant features multiple eating experiences in one place. Tuscan Hearth Pizza, Rio Taco Mexican, MY Smokehouse BBQ, and Mongolian Grill along with a desserts bar and fine dining at Red Willow.